A continuous climb/descent right from the start on smooth pavement with no shoulders on the road. Be certain your bike is well prepared for optimal performance and braking power. Start at the junction of Hwy 89 / Hwy 4. Riding Monitor Pass (Robert M. Jackson Memorial Highway) showcases why this area is called the California Alps – spectacular views of mountain ranges. Starting from the Junction of Hwy 89/Hwy 4 begins as a climb up a Monitor Creek canyon. Half way up the climb, at 4 miles, you will pass Heenan Lake, a genetic pool for the Lahonton Cutthroat Trout used to help sustain the native species. 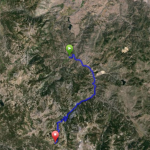 Further along you will enter the Carson Iceberg Wilderness area high above the valley floor. The summit marker is a little obscure, and easy to pass by, but it’s a granite slab on the right nestled in Aspen trees. The road continues and looks like it will continue to climb higher but you will be descending the backside of the Pass that connects to Hwy 395. This ride is also a leg of the Death Ride: Tour de California Alps. 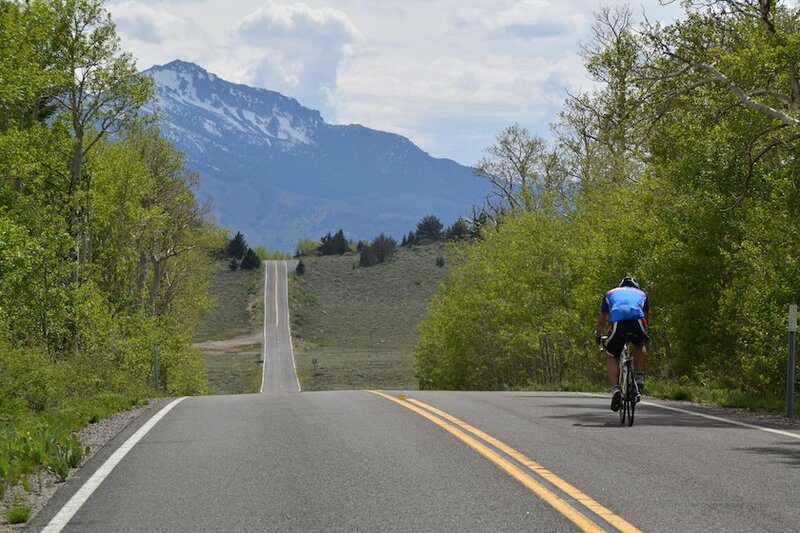 Ride Options: As in the Death Ride, you can ride over the Summit and descend to Hwy 395 and return back to Hwy 4. 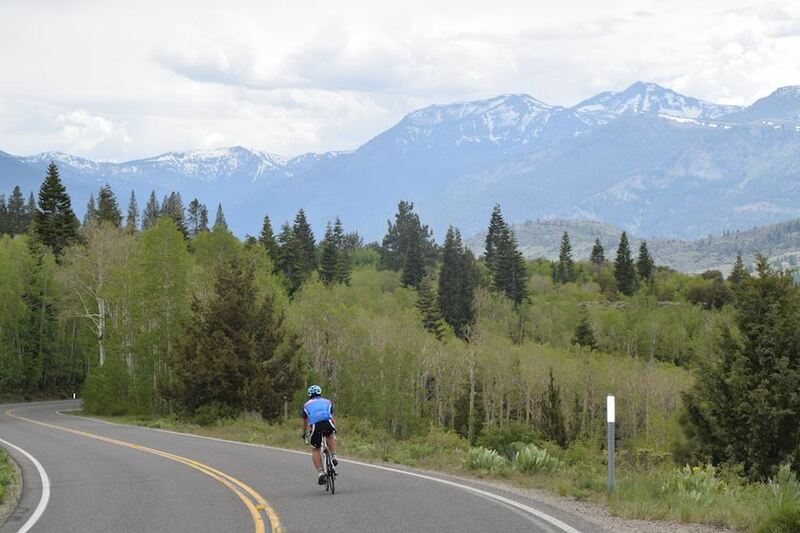 Nevada residents enjoy riding to the Summit from Hwy 395 and returning for an Out and Back. 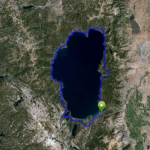 When Jedediah Smith was leaving California from his first exploration in 1827, the first crossing of the Sierra Nevada Mountains by a non-native, he traveled over Ebbetts Pass and continued eastward over Monitor Pass en route to Nevada and passed Topaz Lake. Silver was discovered in the area in the late 1850’s – early 1860’s and by 1864 a mining community called Monitor was booming with over 150 buildings with newspapers, a telegraph line, Wells Fargo station, saloons, hotels, restaurants and stores. The pass is named after this town. The first roads in the 1860’s were toll roads – The Monitor Toll Road. 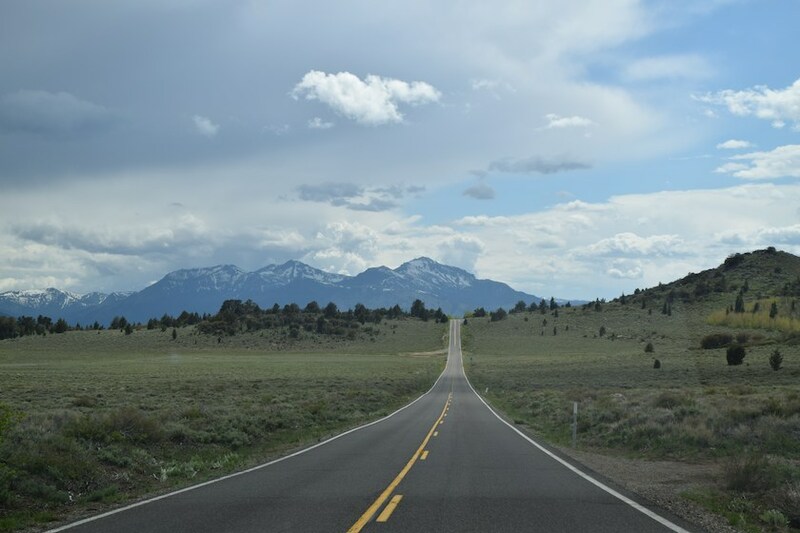 The current highway was complete in the early 1950’s and named after Robert M. Jackson, a long time Alpine County public works employee. The road is closed during the winter months due to snow coverage.